Today, March 8th, is International Women’s Day which celebrates ‘the social, economic, cultural and political achievements of women.’ Many children’s books are now focussing on the achievements of women, past and present, to inspire future generations and it is fascinating to read about women who have influenced and are still influencing our lives today. 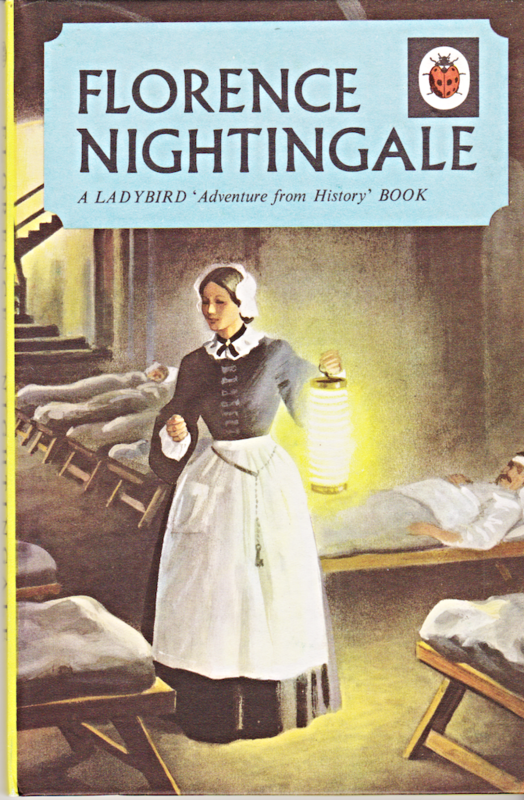 As a child one of my favourite Ladybird Books was Florence Nightingale Adventures from History Series. 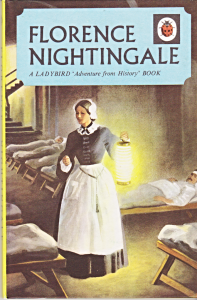 I was fascinated by Florence Nightingale’s story and my parents still have my copy of this book which is long out of print! Florence’s care, compassion and ground breaking work to ensure that hospitals were clean inspired me and for a while I wanted to become a ‘Lady of the Lamp’. My daughter was first introduced to ‘great women’ in Kate Pankhurst’s picture book Fantastically Great Women Who Changed The World. Double page spreads full of bite sized, fascinating facts introduced us to thirteen women including nurse Mary Seacole and artist, Frida Kahlo. Kate’s book, Fantastically Great Women Who Changed History, has just been published. Anthology of Amazing Women, Amazing Women and Good Night Stories For Rebel Girls have introduced us to so many amazing and inspirational women who are all fabulous role models for children today. 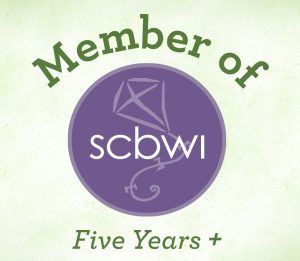 The books show children how big a contribution women can make in all areas of society. They can help foster self confidence, instil beliefs that girls can aspire to their dreams and help break down gender stereotypes. The books include women from all over the world and from all periods of history. Many years ago several of the women had to disguise themselves as men in order to follow their dreams and work towards their goals, for example plant expert Jeanne Baret and World War I journalist Dorothy Lawrence. 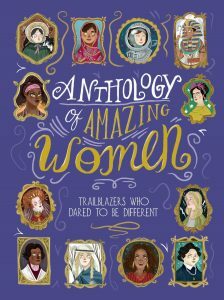 Anthology of Amazing Women Trailblazers Who Dared To Be Different includes the stories of 50 women plus shorter introductions to several more. The book is broken down into eight different sections including Women in Politics, Sports, Literature and Science. A clear content page at the beginning of the book shows the women included and a glossary at the back explains vocabulary used. My daughter was excited to see that one of her favourite authors, J.K. Rowling was included in the book and I enjoyed reading about Tove Jansson. Anthology of Amazing Women also introduced us to Hatshepsut, an Egyptian king who was really a queen, biologist Nettie Stevens who studied chromosomes and Chien-Shiung Wu, the ‘First Lady of Physics’. Amazing Women 101 Lives To Inspire You introduces us to 101 women who have been or are trailblazers, creators, activists and campaigners to name but a few. It includes a clear content page, a glossary and there’s also information about websites, books and films that can help you with more research. My daughter is fascinated by Anne Frank’s story and this book has inspired her to read more. I enjoyed reading about the activists including environmentalist Wangari Muta Maathai and peace activist Mairead Corrigan. I love the 101st ‘woman’ in the book. 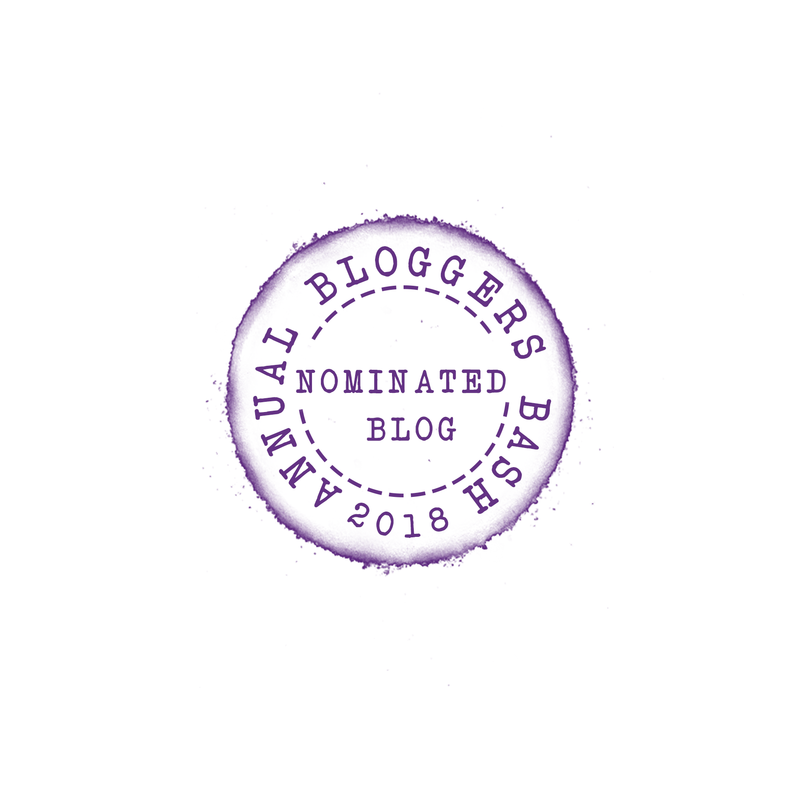 This page celebrates and inspires the reader to follow their dreams and never be afraid to be their true self. 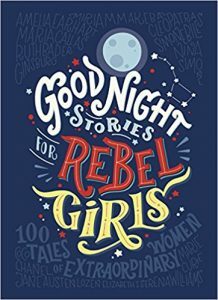 Good Night Stories For Rebel Girls: There are 100 stories in this anthology. Each woman’ story, including their name and date of birth, is shown on the right of a double page spread and is accompanied by an illustration on the right. The stories are short, easy to read and start with each protagonist as a little girl. A final double spread encourages the reader to write their own story and draw their portrait. My daughter reads one of these stories at bedtime every night, she was particularly interested in Amelia Earhart’s story and her mysterious disappearance. I have been introduced to many inspirational women including writer Isabel Allende and Policarpa Salavarrieta who was a Colombian spy. 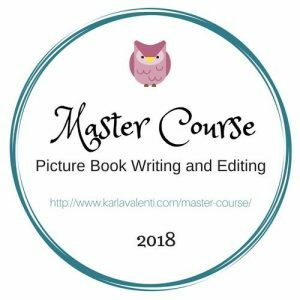 Authors: Elena Favilli / Francesca Cavallo / Illustrators: Sixty female illustrators from all over the world! All of these books would make fabulous additions to a school library and can be used to stimulate discussion with children, boys as well as girls, about amazing women, past and present. We have learnt (and are still learning!) about brave, fearless women who have influenced our lives in ways that we were unaware of until now. Which women’s stories have inspired you? Who will you be reading about on International Women’s Day? 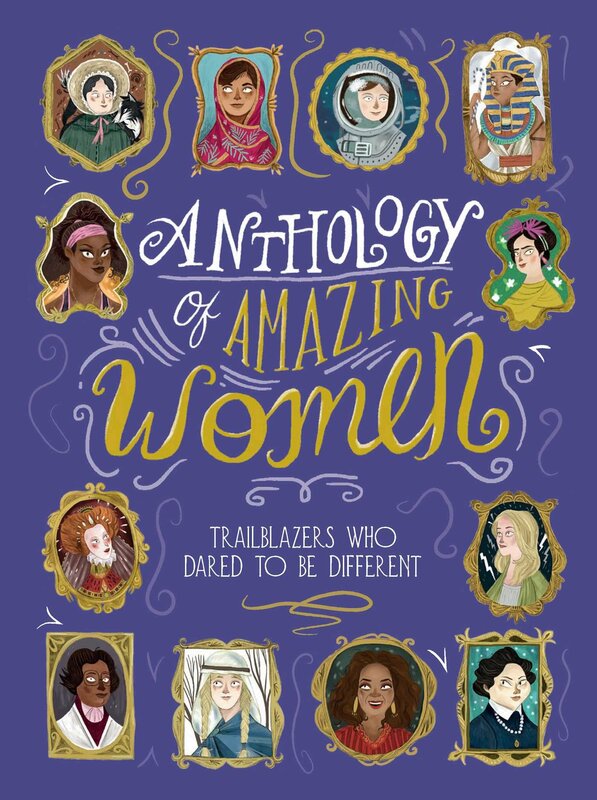 Thank you to Kings Road Publishing for sending us a copy of Anthology of Amazing Women. 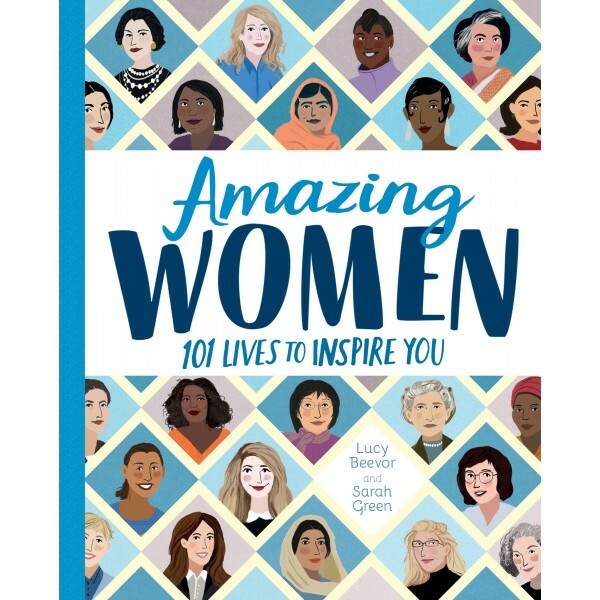 Thank you to Stripes Publishing for sending us a copy of Amazing Women. I think I need to read some of these myself! History was very male-oriented when we were kids. It’s great that girls (and boys) can learn so much more about influential women in all walks of life from books like these. I’ve ‘met’ lots of inspiring women who I had never heard of, they’ve all included women from all over the world. It is so important that boys as well as girls read books like these. Boys also need to be introduced to strong females and their achievements. I’ve read that the Rebel Girls title has caused some discussion for exactly the reason that you mention. It’s just as important that boys read books like these, ultimately they can help to break down gender barriers and encourage both sexes to work together towards equality. Rebel Girls is great for younger readers, the stories are told using language that is easy for a child from age four to understand. 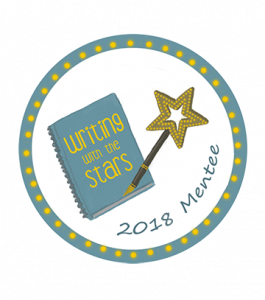 They’re inspiring for boys too, it’s also important that they recognise that women have played important roles in scientific research or the arts (to name just two) and have made a significant impact on our lives today. What inspiring books! 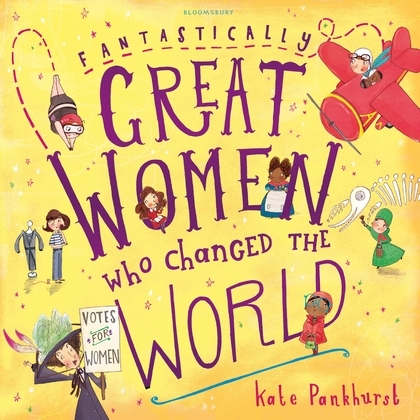 A fab way for boys and girls to learn about the success and achievements of strong women. I love inspiring books like these and there is always so much more for us parents to learn too. They’re all absolutely fascinating. There’s a second Rebel Girls book that we haven’t read yet.